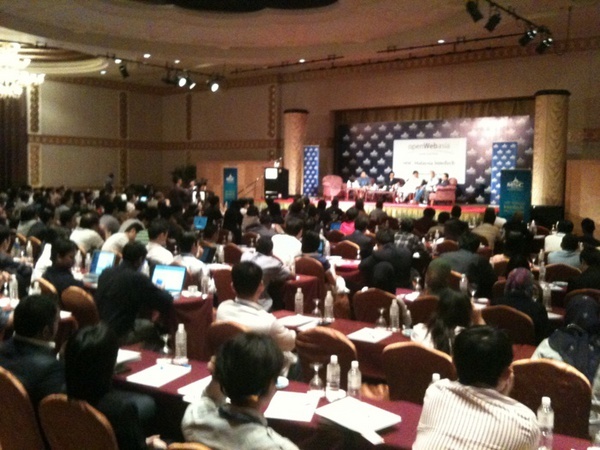 Earlier this month, I attended OpenWebAsia – South East Asia in Kuala Lumpur/Malaysia, a two-day tech and web industry event that attracted over 350 international attendees. The event shined a spotlight on a market that’s still largely overlooked: a whopping 600 million people live in South East Asia, which boasts a rapidly growing web and mobile population. What follows is a short summary of just a few presentations, panel discussions, and startup demos I witnessed at OpenWebAsia (those with a focus on Asia only). I will update this article with more material once it becomes available (find the agendas for day one and two here and here). The event kicked off with a panel discussion between Mohan Belani (Co-founder at mobile gaming company Mobret and former Director at startup community e27), Michael F. Smith Jr. (Director of Global Initiatives at Yahoo! 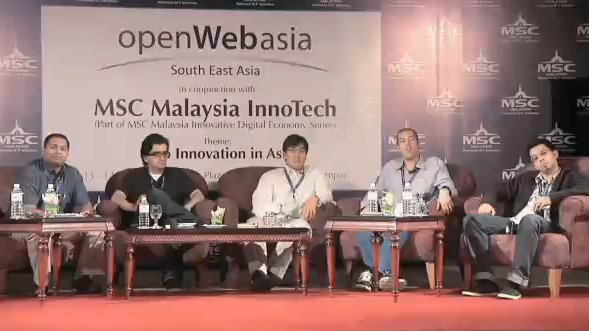 ), Googler and OpenWebAsia co-founder Chang Kim, and myself. Please click here to watch a video of the discussion, which is provided by Satoo.tv (embedding didn’t work, sorry). Shanghai-based entrepreneur and blogger Dr. Gang Lu shared some insights on what’s going on in one of the world’s “hottest” web markets right now, namely China (which now has over 420 million web users and 786 million mobile subscribers). 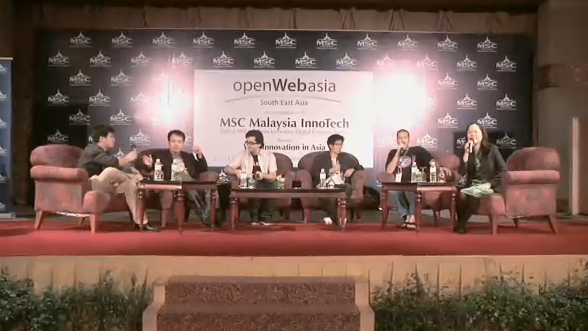 Podcast series This Week In Asia (iTunes link) recorded its 58th episode live on stage at Open Web Asia. Guests included again Michael F. Smith Jr., Dr. Bernhard Leong (co-founder at mobile startup Chlkboard and This Week In Asia producer), Brian Wong (ex-Digg business development manager and founder at mobile ad startup Kiip), Daniel Cerventus (web producer and organizer of the event), and again myself (moderated by Kay Chew Lin). Again, please head over to Satoo.tv for a video of the discussion (but you can also listen to it over at This Week In Asia’s homepage in podcast format). It’s still very early in the game, it’s already a huge market, and there’s room for massive future growth in South East Asia’s web and mobile industry. But there are still some significant hurdles to overcome, especially if you regard South East Asia as one region. Many of these problems, for example the low Internet penetration, will probably solve themselves in the future. And in fact, local startups, partly financed by local venture capital firms (which do exist), are starting to crop up all over the place. If you want to know more about Malaysia’s web scene, head over to the Entrepreneurs.my blog or follow the Twitter account of Kuala Lumpur-based mover and shaker Daniel Cerventus. For more South East Asia-related information, have a look at the e27 and SGEntrepreneurs blogs or download the This Week In Asia tech podcasts.